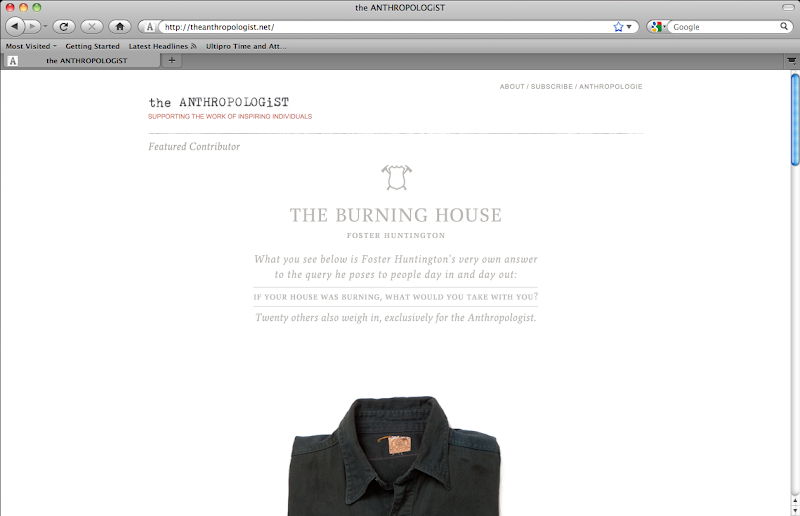 A project I worked on based on the Burning House is now up on the The Anthropologist. For the project, I connected with 20 people from Oregon, Washington, Pennsylvania, New York, New Jersey and Massachusetts and photographed their things. The project was a blast and I am really proud of how it turned out. Take a look here. I am interested in basing a brand around a blog. At the heart of a brand lies a core philosophy that defines purpose and product. Most brands rely on physical products as the primary means to convey their ideals. For example, a Submariner conveys Rolex's message of supreme quality, heritage, and exclusivity. A Prius conveys Toyota's commitment to protecting the environment and creating quality automobiles. Toyota and Rolex first built quality products and then established brands around these products. Technology is changing this paradigm. Now, a brand can define itself through online content such as photos, editorials or selection of other quality content. In other words, a brand can now establish itself and gain traction before selling its first product. Hypebeast could leverage their online following and authority on streetwear to create a collaboration with Nike or Adidas on a limited edition sneaker. Will Common Projects collaborate with Selectism? For the last few months I have been toying around the idea of starting a blog(and hopefully a brand) with my friend Edge. 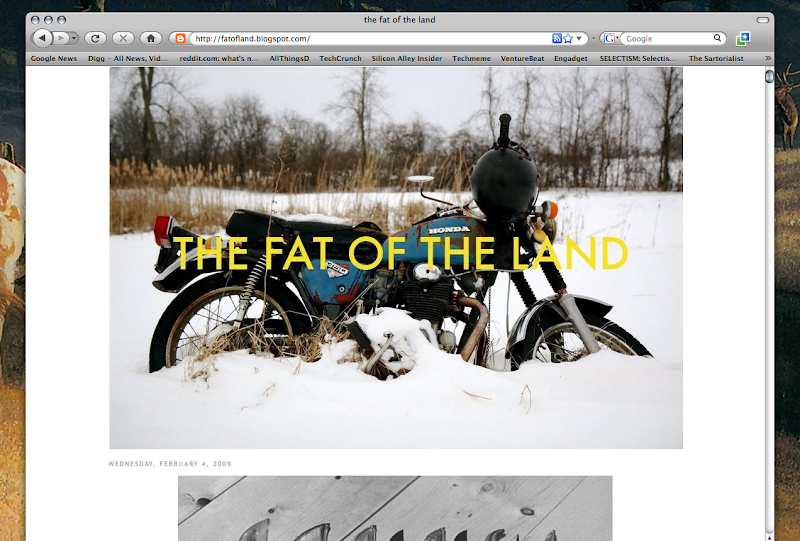 Based around self reliance, a connection to nature, rustication and exploration, we call our collection of photos and writings The Fat of The Land.